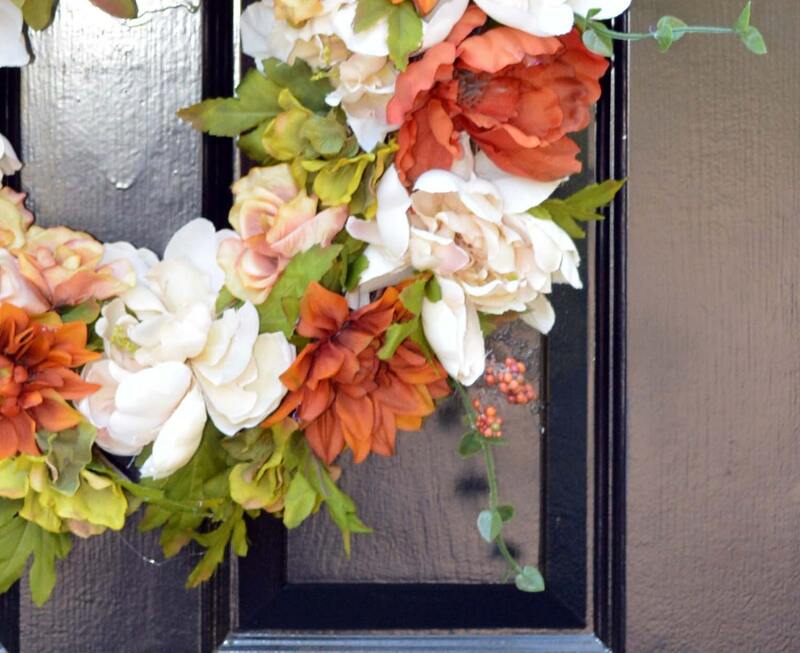 This lush, beautiful wreath is made of gorgeous silk flowers. 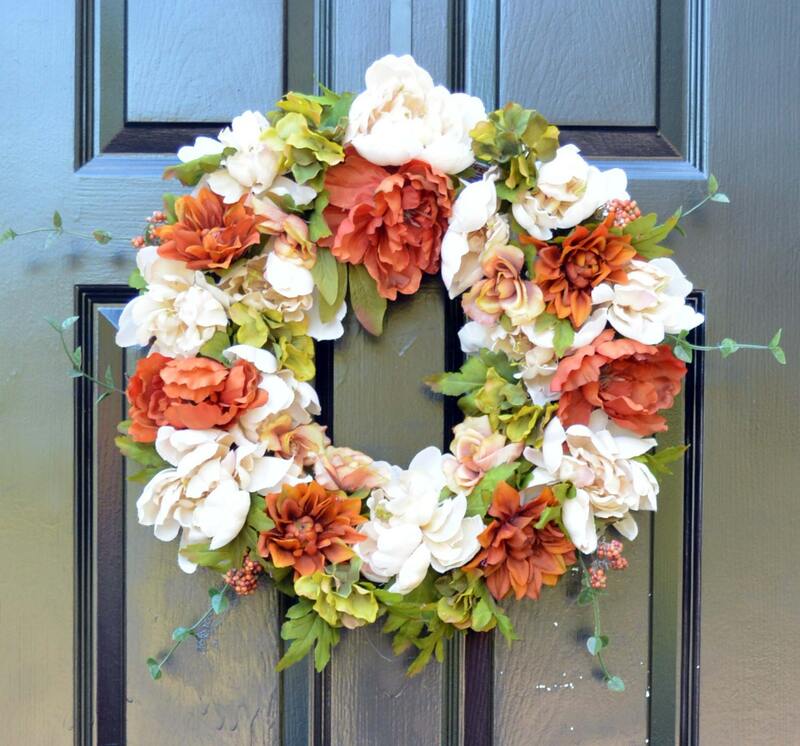 This indoor and outdoor wreath is created to be 18 inches wide and 18 inches tall (24 inches tall with bow). 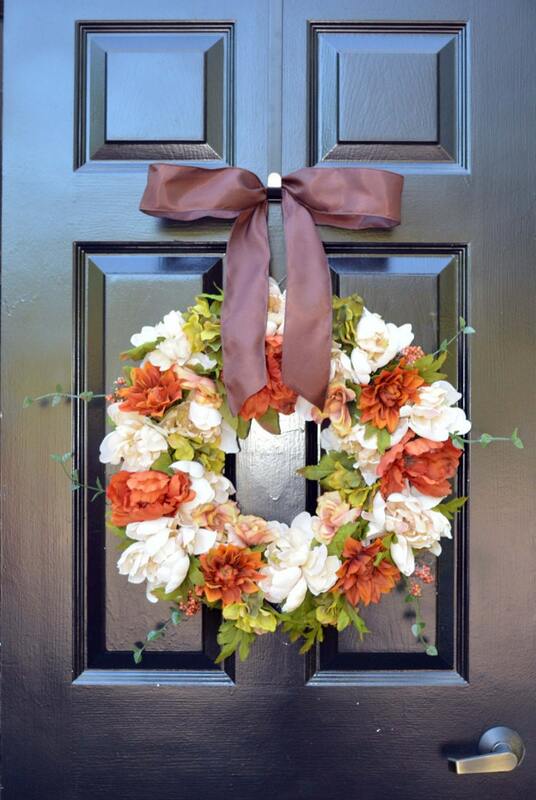 Wreaths are 5 -6 inches thick. 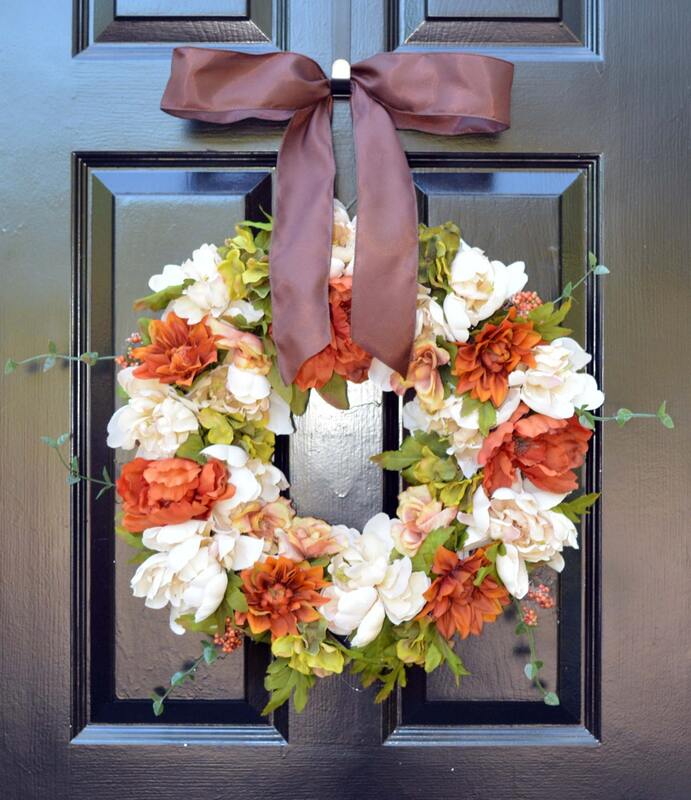 They make wonderful front door, window and in home accents.